My focus today will be on a meanwhile well-known Canadian Company specializing in skincare. That means: our face in the spotlight! 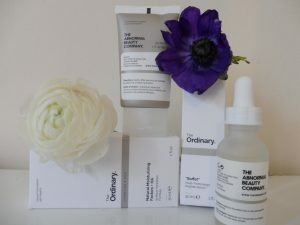 This company, called DECIEM, owns various lines, but I am going to write about “the Ordinary”. What is the main feature of the Ordinary? Highly effective ingredients at highly affordable prices! Since the offer is quite extensive, I will tackle only two in each post. Presenting today: The Buffet, a serum, and Natural Moisturizing Factors + HA a cream that goes on our skin as the last step of morning and evening routine. BUT: I have co-presenters: two of my three daughters!!! One of them, Gabriella, is sitting with me in the above picture. 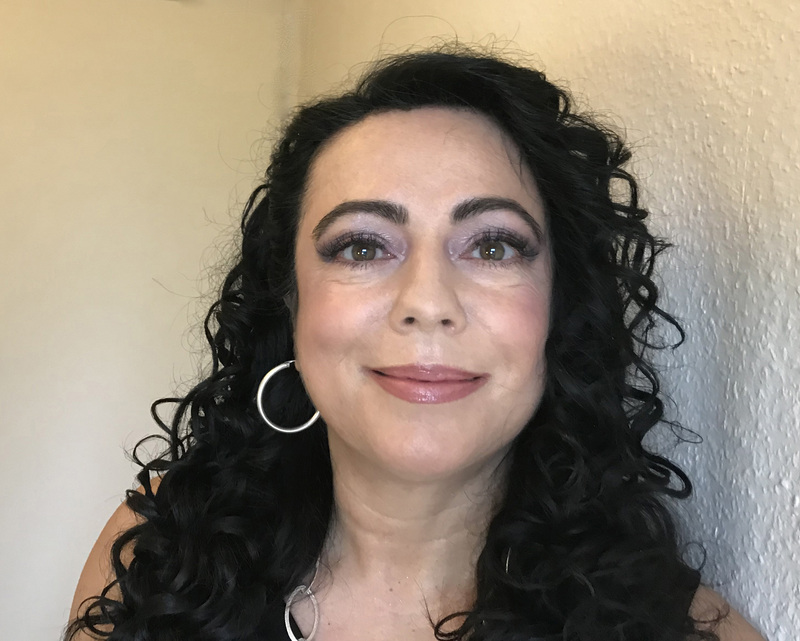 They have been using the products for three months and are quite enthusiastic about them, although, I have to add that my son is also thinking of using them. Let me start with Natural Moisturizing Factors + HA. The cream is, like the name suggests, mainly a moisturizer. It contains the most important substances that keep the skin hydrated and supple. With the words of the producer: Natural Moisturizing Factors + HA offers a protective barrier against surface hydration loss through an array of amino acids, triglycerides, urea, ceramides, phospholipids, glycerin, saccharides, sodium PCA and hyaluronic acid which are components found in the skin and collectively referred to as Natural Moisturizing Factors. This moisturizer contains indeed an impressive array of substances. And still more impressive is the price: 100 ml cost 7,70 €! Still, as it is the last step of the skincare routine, although it feels lightweight, once settled your skin may feel a little sticky. It varies, of course, with the climatic conditions and it pays to use the product sparingly. My skin is theoretically a combination type but it does not get more oily because of this moisturizer. My daughters, Gabriella and Isabella, have normal skin (really lucky ones!) and wear it beautifully. The only thing missing from this cream are the antioxidants, which are also very important for our skin. BUT NO WORRIES: as the Ordinary offers various serums to combine – actually to layer on the skin before the last-step-moisturizer, it is really not a problem! Excellent combination of moisturizing and skin-replenishing ingredients. 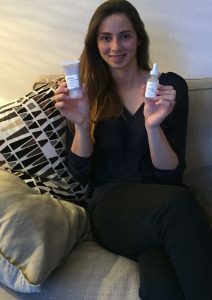 Lightweight but really hydrating – which is the main claim of the product! A TUBE!! I love it when a cream is not in a jar! No hassle with long nails, no worry about carrying bacteria in the cream with my nails/fingers! Lacks some antioxidants and it would be perfect! It can feel a little sticky on application. DECIEM offers usually serums with “one ingredient formulation” and Buffet is the only one combining more substances, hence the price. This formula combines a comprehensive array of studied technologies to target multiple signs of ageing at once. The technologies are peptide complex, Matrixyl Synthe’6 peptide complex, Syn-Ake peptide complex, Relistase peptide complex, Argirelox peptide complex, Probiotic complex, in a base of 11 skin-friendly amino acids and multiple hyaluronic acid complexes. The total concentration of these technologies in the formula by weight is 25.1%. My words: put it on your skin as a first step in your AM and PM skincare routine (that is after cleanser and toner) and you can do no wrong, on the contrary, your skin will get constantly more beautiful. I use it, my three gals use it and we look younger by the second – I will soon have to request admittance to a kindergarten! The serum spreads on the skin easily, it is quickly absorbed and leaves no greasy and occlusive feeling. A last suggestion: if you wish to order from DECIEM you need to create an account FIRST!! Otherwise you will not be able to check out your basket.